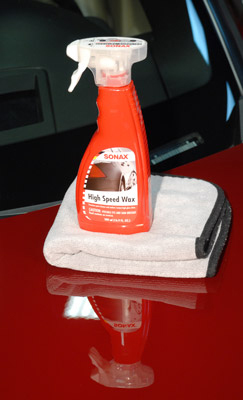 SONAX High Speed Wax has a new bottle, but it's the same product you've known and loved for years! I bought this on a whim since I have had such good luck with other Sonax products. 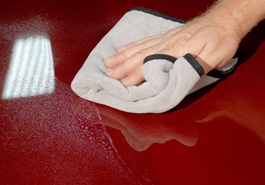 I was floored how easy it was to apply and amazed by the warm glow it gave the car. I was so thrilled I has to do some research on it. I found out that in 2015 Nick put this on his "Top 10 of 2015". It may be a couple of years later but I can see why. 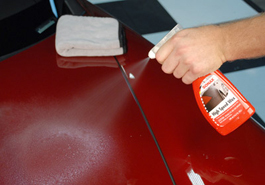 It doesn't react like a normal spray wax except for it's ease of application. It's more like a paste wax in durability. I think that is partly because of the silicone emulsion in it. The water beading is great! I have had it on for 1.5 months with no degradation. I was looking for just a topper but I swear this could be a stand alone lsp. Its even fine on trim The best way I know how to describe it is a Carnauba based Carpro Reload. Amazing product that really took me by surprise! ConsWish it came in gallon size. This is a thick spray wax and that caught me by surprise at first. I takes a little more effort to remove. After experimenting on a few panels, I found that using a small applicator with a little water worked best. It has very good shine and water beading has lasted a few weeks so far. a couple sprays per panel and it works great.It also made my flat black a-pillars look good.Pretty good stuff for $12.99!